As I’ve written before, the first thing a brand owner wishing to register their trademark with the United States Patent and Trademark Office (USPTO) should do is APPLY. Once the fee is paid, it’s assigned to an examining attorney who examines the records to see if there is a likelihood of confusion with other trademarks — especially in the same class of goods or services. The examining attorney also looks at other things, like the appropriateness of the description of the goods and services, and checks if it conflicts with a famous mark. Likelihood of confusion is one of the major reasons for applications to be rejected — and these are the most difficult rejections to overcome. If the examining attorney finds no likelihood of confusion, the process can move forward — but we’re not out of the woods yet. The next step is to publish the application so that existing trademark owners can find it and oppose it if they believe there is a likelihood of confusion. That publication is called the Official Gazette, and it publishes every Tuesday (even December 25th). 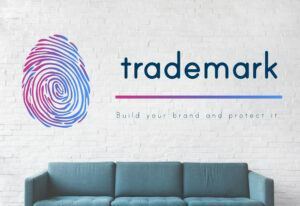 This allows trademark owners who believe that registering the applied-for mark would harm their business to oppose the application in a special administrative court called the Trademark Trial and Appeal Board (TTAB). The potential opposition has 30 days to decide whether to file with TTAB. Sometimes a trademark owner, when looking at an application, may be unsure of whether they want to go to the expense of litigation in TTAB. In that case, they are able to request an extension of the period to file an opposition. Usually what happens during that period of time is that the attorneys representing the registered trademark will reach out to the applicant’s attorney, or vice versa, to see if some sort of agreement can be reached moving forward. In many cases, this is accomplished by the applicant modifying the description of their goods or services so that they’re clearly distinguishable. Everything having to do with the trademark application process is publicly available through the USPTO website, so I am free to talk about a client I represented who did just that. My client wanted to register the brand ODOREATOR. Now, the owners of the trademark ODOR-EATERS had a little bit of a problem with my client’s mark. The product had originally been described as an: Odor-neutralizing preparation for general use on various surfaces. That is the same class as cleaning preparations for carpets, carpet cushions, carpet underlay, and rugs. The Odor-Eaters brand is owned by the Combe Corporation, and their main problem with Odoreators was it having such a broad description. Because my client sells this product for remediating moldy basements, their attorney and I were able to work out a language that was acceptable. The new language for my client’s product became: Odor-neutralizing for general use in mold abatement. I filed the amendment, and the period to oppose and its extension lapsed without any other opposition, so now my client’s application will result in a registered trademark. One thing to note is that only registered trademark owners can file an opposition or request an extension of the time to file an opposition. That means if somebody has a common law trademark that they think will be harmed by a particular application, they’re out of luck. They may have to wait and challenge the trademark owner’s registration sometime during the first five years of ownership by saying it was invalid because they were not the first users of the mark, but that doesn’t happen too often.